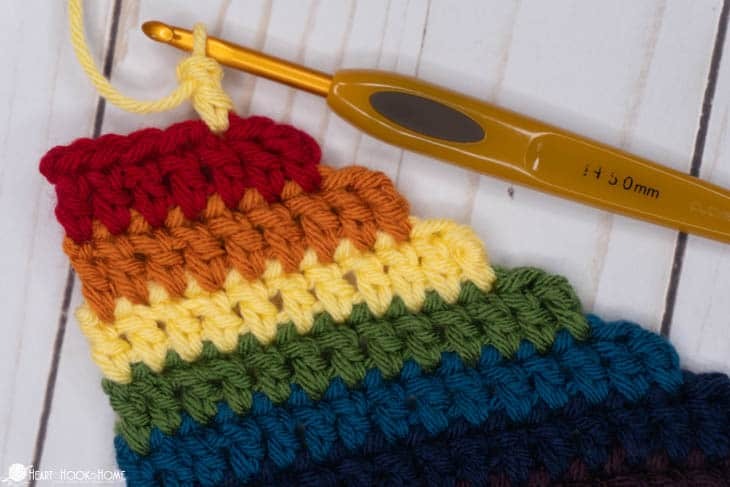 The Standing Double Crochet is perfect for starting a new color to your crochet work. Instead of joining and chaining to start your new row, this makes for an invisible start. 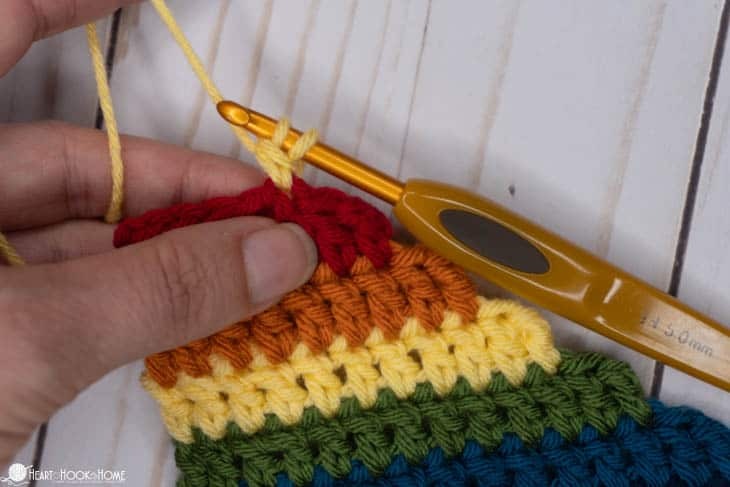 The standing double crochet stitch will change everything! Typically, we will attach yarn with a slip stitch, chain two, then double crochet into the same space. 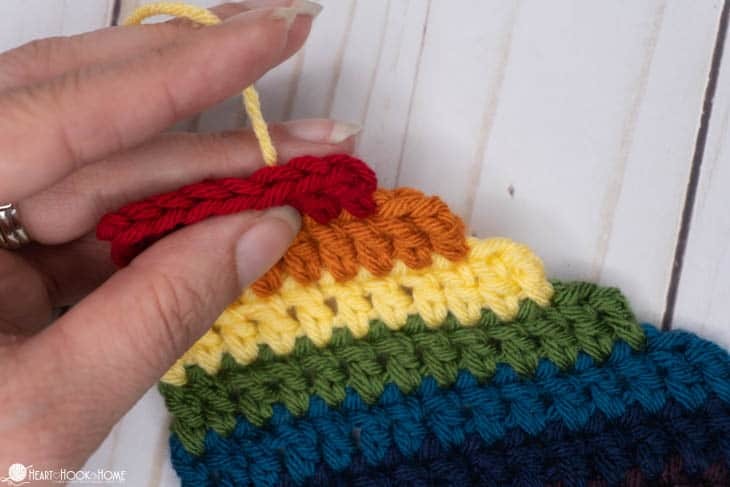 While this is how virtually all of us learned to start a new color/row in crochet, this can be aggravating because to a seasoned crocheter’s eyes, that chain can be obvious. 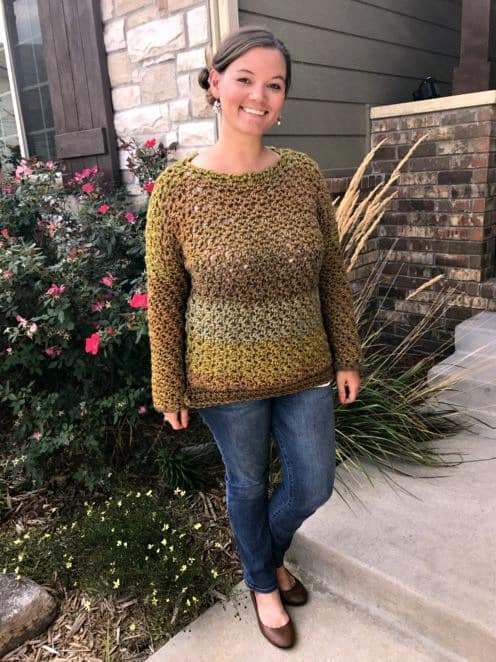 While you may not find the Standing Double Crochet in a written pattern, it is easy to substitute and helps to keep your color changes looking professional! 1. Hold the working yarn in your non-working hand. (If you hold the hook with your right hand, hold the yarn with your left). 2. Using the new yarn color, wrap yarn around your hook twice. 4. Continue holding yarn behind project and complete double crochet as normal. 1. Hold the yarn tail taut while completing the first stitch. 2. 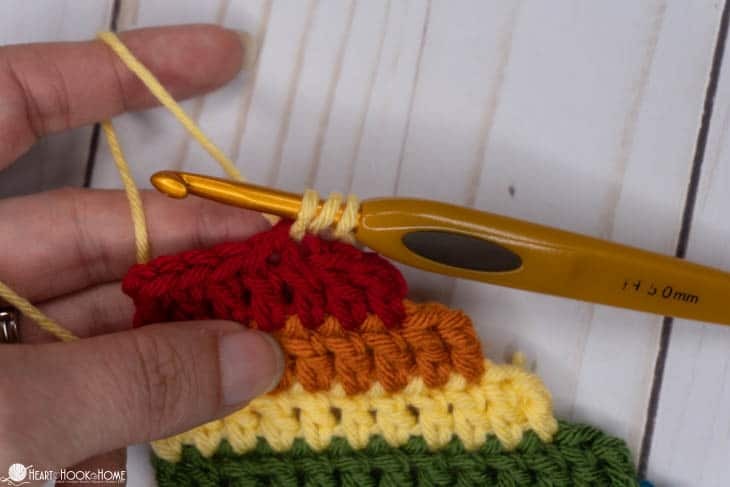 Crochet around the tail to hide where you started, and to prevent weaving in more ends. 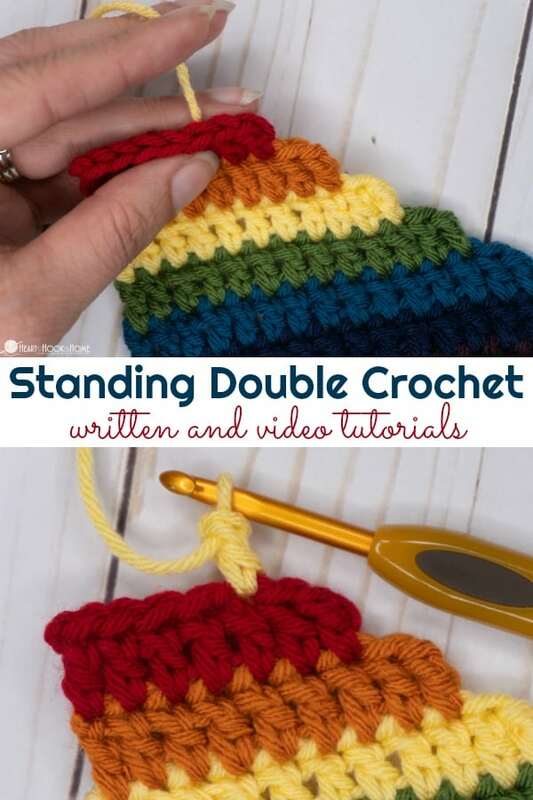 I hope this helps you to add beautiful, seamless, standing double crochet! 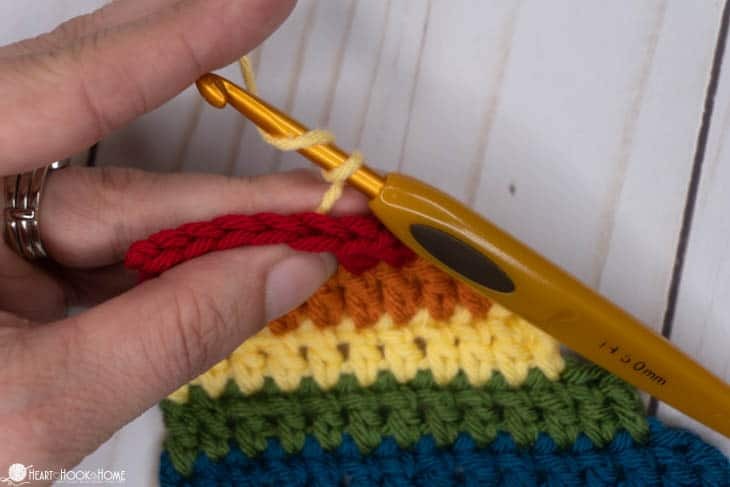 I am sure that with just a little practice, this new technique will take your crochet to the next level! Wow! Great job! Thank you. I can see using this when making squares. I Hate the way the chains look. I know I'm the only that will probably see it, but I like this as an alternative. Thanks.